FleurDanielle: FleurDanielle's First Blog Giveaway & Huge Thank You! FleurDanielle's First Blog Giveaway & Huge Thank You! Hey guys! Hope you are all well! So Easter is over, all the chocolate has been eaten, the diets have started and a normal working/educational routine for many of us is commencing tomorrow once again. I thought why not make it easier by introducing something I've never ever done on my blog before. Keep reading to find out more. As I'm sure most of you know last week I was lucky enough to achieve over 1000 followers on my blog. I am stunned by this number and super thankful. I know this is not a lot compared to some other bloggers but I never thought I'd get 10 people reading my blog so the fact you all seem to enjoy reading my rambles and finding out more about me and things I enjoy really does make me happy so because I am so thankful I thought that I would do a little giveaway on my blog. Giveaways are something I have always been a bit cautious about doing purely because I've never wanted anyone to think I'm doing it just to get followers as I'm really not. Like most other bloggers though, I'd be a liar if I said that number going up and up on the side of my blog didn't make me happy! It's so nice knowing that people enjoy my blog. However, it has been really important to me to build up that loyal following and I believe that now at over 1000 followers it's a perfect time to do a giveaway! So now for the exciting bit! 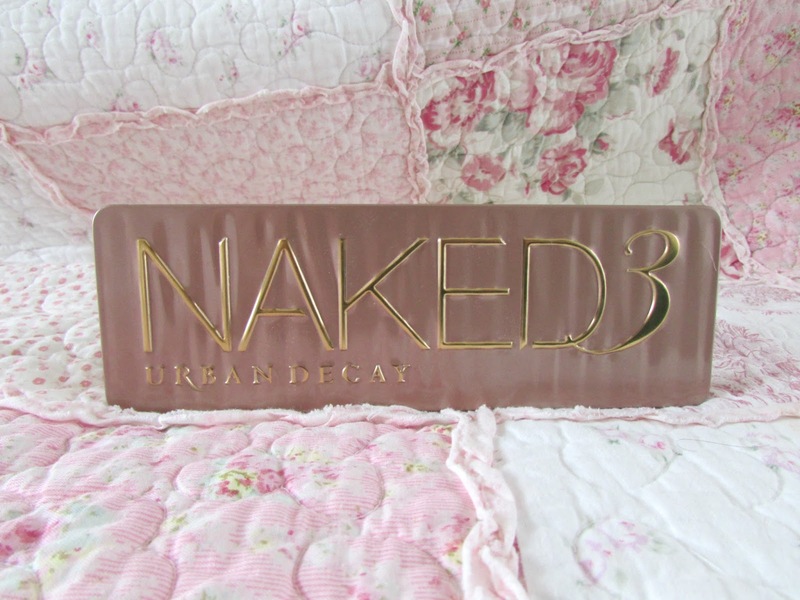 As you can see from the photo above I will be giving away a Naked 3 Palette. However I wanted to make this giveaway a little bit more special so I will also be giving a way a Birthstone Pandora Ring. I'm waiting to pick the winner before purchasing the pandora ring which is why it's not included above. This is obviously so that I can get the ring in their birth month. If you'd like to enter then all you have to do is follow the instructions in the rafflecopter widget below by leaving a blog post comment below telling me what you like most about my blog and following me on twitter. If you'd like to up your chances of winning then all you have to do is tweet about the giveaway! It's that simple! The giveaway will last from tonight until the end of the month so plenty of time to enter. This giveaway will also be international! So no matter where in the world you are you can enter!! GOOD LUCK! Hi Fleur, congrats on 1000 you truly do deserve it! Congratulations on reaching 1000! I love that you post a variety of subjects; I love a bit of variety! Congratulations! I've loved seeing your blog grow since I started following you, and I'm wishing you all the best. You deserve it! PS I love the variety of content you include on here! Wow congrats Fleur! 1000 followers is incredible and you deserve everyone of them and thousands more!!!! Its hard to pick a favourite thing about your blog because its fantastic! But I love how diverse your content is! You can go from product reviews to lifestyle posts to hauls and include helpful blogging posts like you're 50 blog post/ Instagram picture ideas! You definitely always keep your readers interested no matter what!! Congrats on your milestone! I am a new follower so have browsed through you blog and love your personal posts and tips eg 50 Ideas For When Boredom Strikes, A Day In The Life | How I Spend A Lazy Day, 24 Lessons Learnt From My 20s So Far and Tips To Relax and De-Stress. I can really relate to them and I do have days when boredom strikes or I feel stressed! Thank you! I love the style / the layout. There's not too many photos like some people choose to have, it's just a nice balance. congratulations. I love giveaway's like this. I love your blog layout! so simple yet effective :) There is nothing worse than distracting blogs layouts that make it really hard to read the actual post! 1000 followers is amazing!!!! i love your photos, so much fun. Congrats on reaching so many followers and thanks for the amazing giveaway. Good luck reaching your next milestone. Must confess this is the first time Ive seen your blog .. will certainly add you and hope to see lots of interesting posts pop up on my bloglovin feed. I love your pretty pictures! Congratulations! Your blog has so many fresh ideas, this is well-deserved! Nice clean layout that doesn't take forever to load like some blogs! I love the theme being simple and very easy on the eyes as well as the content on the bucketlist! I like the name...it is catchy and anything with the word "fleur" in it catches my attention. I love read reviews ! I love your writing on beauty tips and product reviews - I've never felt like a proper girly girl because I'm always out of the loop about great new beauty things, so that really helps me keep up to date. I love your reviews. I always want to try everything! Congrats on your milestone! I am a new follower and I think your blog looks great and I love your photographs. I'll definitely be a reader in the future. Thank you! I love that you write in a simple easy to read style, brilliant! I love your writing style - it's fun, interesting and informative. I like the content and the style of the blog. I like the variety of things you blog about, as well as the tip and lists. They give me inspiration for things to do in my life. Keep up the good work and congrats! I love the giveaways! So generous!